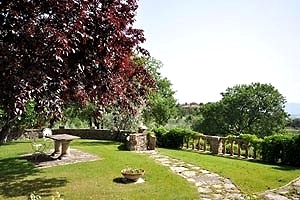 The beautiful stone villa is part of a 6-hectare property situated on the hills of Valdichiana, in proximity to Monte San Savino (Arezzo). 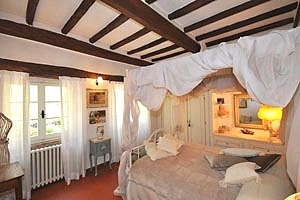 Staying at the villa, guests have the opportunity to taste the beef steak made with the fine Chianina meat, the cold cuts of the region (such the soprassata and Sienese capocollo), truffle dishes and the excellent local cheeses, everything dressed with some of the olive oil and accompanied with the white and red wines of Valdichiana. 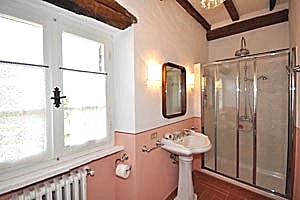 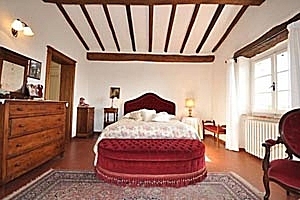 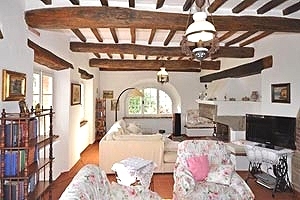 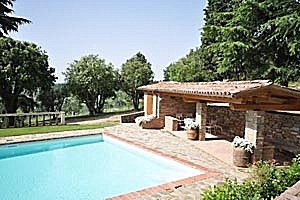 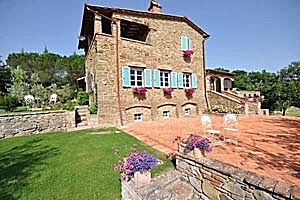 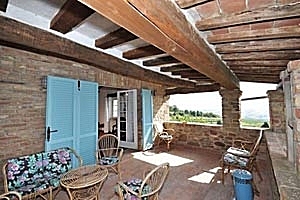 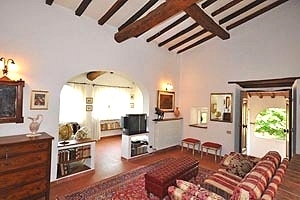 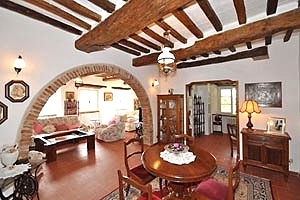 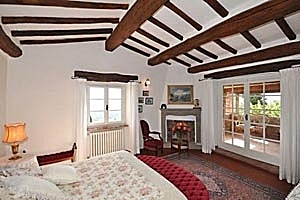 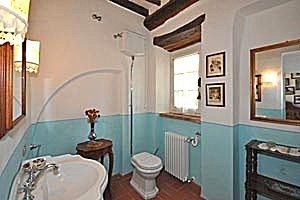 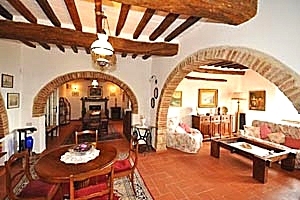 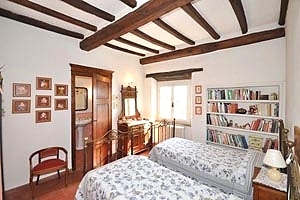 Situated in a very peaceful area of the Tuscan countryside, the villa is the ideal lodging for those who dream of relaxing holidays; at the same time, it is also an excellent departure point for one-day jaunts at the discovery of Cortona, Siena, Arezzo, Montepulciano, Pienza and many other Tuscan cities of art. 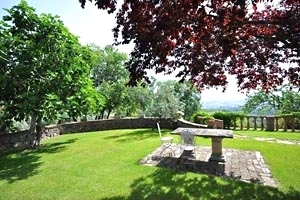 A wide garden with an outbuilding featuring a barbecue area and a wood-burning oven surrounds the villa. 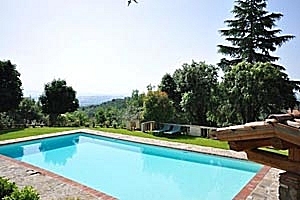 The private swimming pool (14x7 m; depth: 1.20-2.40 m) is surrounded by a wide solarium area. 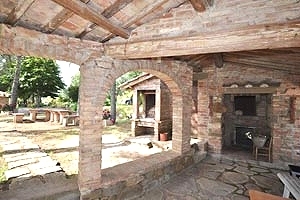 A dining area is arranged in the panoramic terrace. 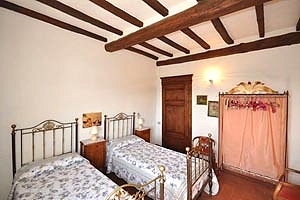 The two-storey building can accommodate 10 guests in 1 twin bedroom, 3 double bedrooms and 1 double sofa bed, and has 4 bathrooms and 1 half bathroom. 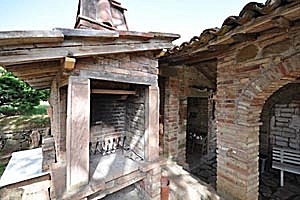 The ground floor composes of kitchen with fireplace, dining room with fireplace, office, two living rooms (one with a fireplace), a double bedroom, a bathroom with bathtub and a half bathroom. 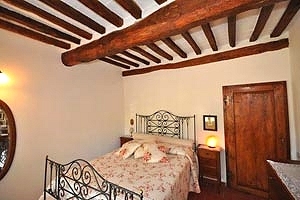 On the first floor are a living room with a double sofa bed and a fireplace, a twin bedroom with a private bathroom with shower, two double bedrooms (one with a private bathroom with bathtub) and another bathroom with bathtub. 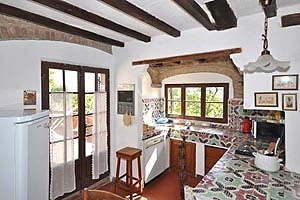 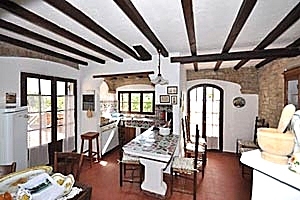 The kitchen has a direct access to the panoramic terrace. 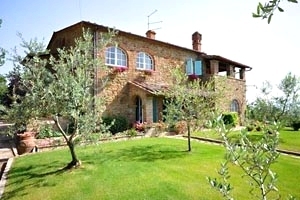 The villa comes with swimming pool, wood-burning oven, barbecue, fireplace, satellite TV, Internet connection, stereo system with CD player, oven, freezer, microwave oven, American-style coffee maker, dishwasher, washing machine, cot bed and private car parking area. 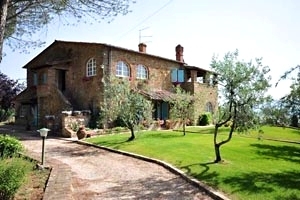 Tuscan cooking lessons and dinners with traditional Tuscan dishes are organised upon request.